Kumbakonam: Thirubhuvanam is a village near the temple-rich town of Kumbakonam in Thanjjavur district in Tamil Nadu. 'Gym' Ramalingam, a resident of this town, was a catering contractor and a PMK worker. 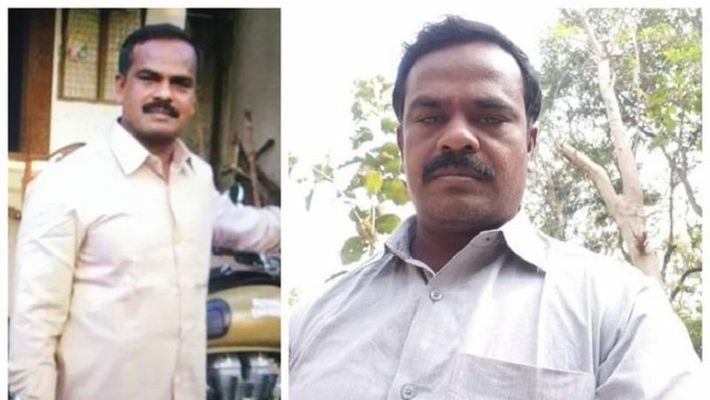 On February 6, when Ramalingam was returning from his work along with his son in a mini truck, he was reportedly waylaid and attacked with sickle and other country weapons. He died due to excessive bleeding. Cut to February 5. Ramalingam had gone to recruit men for his catering assignment. There, he encountered few Muslim men indulging in a conversion programme. Ramalingam intervened and took on those indulging in conversion activities and tried to reason with them. The incident was recorded on video, which went viral. In the video, Ramalingam was seen removing and wearing the skull cap of one of the Muslim preachers and applying holy ash on his forehead. A cursory review of the sequence of events can establish a clear link between the above two incidents. Police have arrested five men in connection with his murder – Y Sarbudeen, M Mohammed Rizwan, A Mohammed Riaz and S Najim Ali. Out of those arrested, two allegedly belong to extremist organisation Popular Front of India (PFI). Another section of people have been trying t deflect public attention by claiming that this was a murder by fellow PMK men due to business rivalry. Still worse is a section of people claiming this murder could be the handiwork of Sangh Parivar forces to gain a foothold in the state. Such propaganda is adding insult to injury. Up to this point, it is an isolated communal incident and police have started taking action. But, this cannot be swept away as any other law and order issue. There is an underlying pattern to the things happening in the state, which is devoid of two political stalwarts (Jayalalithaa of the AIADMK and M Karunanidhi of the DMK). A recent trend of Christian soul harvesters being resisted is on the rise. There seems to have been some sort of Hindu renaissance in remote parts of the state. A video has recently surfaced where Ezra Sargunam, a bishop openly urges Muslims to take “them” on, apparently referring to Hindus. Tamil Nadu is a state with only 5% Muslim population. This is a fertile ground for the soul harvesters. Further, the state is replete with anti-Hindu Dravidian leadership, which provides a conducive atmosphere and cover for such harvesters. On January 23, Thirumavalavan, leader of Viduthalai Siruthaigal, a Dalit outfit, conducted a rally in Trichy to uproot Sanathana Dharma forces from the state. It was well attended by DMK president MK Stalin and a slew of other pro-minority leaders. On January 19 and 20, Loyola College in Chennai conducted a street food festival, which contained caricatures depicting Hindu gods, the Prime Minister and Bharat Mata in bad light. And this was attended by Thirumurugan Gandhi, a Tamil secessionist. After relentless protests, Loyola had to apologise. Linking all the dots, we can be sure that there is an eco system against the nation. This started from Jallikattu protests in January, 2017. There have been various protests like Neduvasal (urging to stop methane exploration), anti-NEET protest, waving black balloons during PM Modi's visit, anti-Sterlite protest, agitation against the proposed eight-lane highway from Chennai to Salem, etc. Many players seem to have come together for this project. Seeman, leader of Nam Tamilar Party, Vaiko of MDMK, Thirumavalavan of VCK, Thirumurugan Gandhi and more are supported by the media as well as the social media in spreading their narrative. Stalin of the DMK has not condemned these outfits; hence we are compelled to believe that it suits his politics to pamper these fringe elements. This time, Tamil Nadu has the highest number of candidates clearing NEET, who would have otherwise ended up paying Rs 50 lakh to Rs 1 crore for medical seats. A defence corridor and an eight-lane expressway from Chennai to Salem will bring in a lot of development to the north and west Tamil Nadu. A Ccntainer harbor at Colachel will generate jobs and propel economic activity in the southern tip of the country. Already, a successfully established steel flyover has been inaugurated at Kanyakumari. Tamil Nadu has been the biggest beneficiary of MUDRA loan. This is a crucial election year. The DMK has not won a single election since 2009 Lok Sabha and is power-hungry. Stalin’s persona does not seem to cut ice among the voters (as was evident from DMK losing its deposit in the recently-concluded by-election). Tamil Nadu also did have its brush with terrorists in the LTTE. However, after 1991, when Jayalalithaa was elected the chief minister, it was well contained. After the decimation of the LTTE in Sri Lanka in 2011, there are indications of secessionism driven by vested interests. It is high time the Central government, the state government and the intelligence agencies take note of these events and neutralise such forces.